T2, 3rd Floor Bangsar Shopping Centre, 285 Jalan Ma’arof, Taman Bukit Bandaraya, 59000 Kuala Lumpur. Go to the 3rd floor, head to the dining area and you saw it straight away facing the entrance. 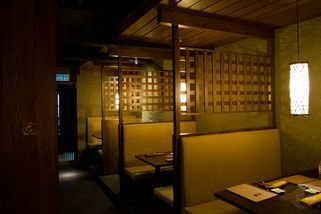 Wood panelling, rough textured walls and muted lighting produce an appropriately contemporary and elegant ambience for Kuriya, which means “aristocrat’s kitchen”. 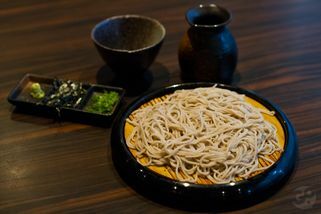 The restaurant specialises in fresh, quality seafood imported from Japan twice weekly, and soba (Japanese buckwheat noodles) made in-house. 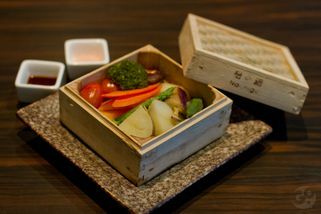 All the food at Kuriya s authentically prepared by and under the direction of master chef Nakagawa Takahiro from Tokyo. 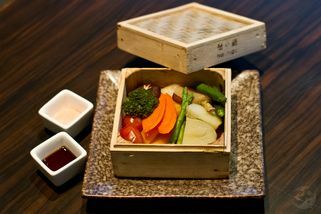 Signature dishes are Chef’s Creation Sashimi, Kuriya Special Roll, Soba Seiro, Grilled King Crab and Omakase Sushi, which means chef’s choice. If you fancy some sake, Kuriya is the sole distributor of the Dassai 50 brand. 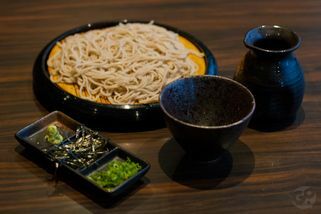 If you visit on the eve of Japanese new year, they serve the traditional Toshikoshi Soba. "The only Japanese in BSC"
When one is in BSC and wishes to eat nothing but Japanese, there is only this establishment to choose. The time I gave it a chance, the atmosphere was very nice by the counter. I have nothing to really complain about, the standard of Japanese food in Malaysia never exceed expectations so as long as I can't complain, I would be back again. Had my usual sashimi platter (rarely satisfied there), grilled saba, teapot soup, sakes and other cooked dishes. The prices are regular. However, my alarm was set off when they tried to flog off a whole silver fish for around RM200 when I asked for their grilled saba which they have sold for about RM30 in their regular menu. I don't normally appreciate such hard sell unless the restaurant has earned my vote. 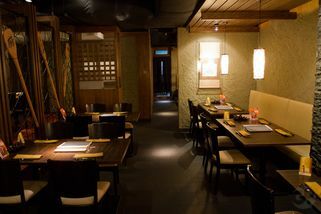 Will be back purely because it is in BSC, when I want nothing else but Japanese within that complex, but I will not be making a special trip just for a meal here. BSC is great with doorstep valet and there is a lift by the complex entrance that takes you straight up to the top floor. Convenience wins a point here. Ordered the kampung chicken ramen which was the chef recommendation. Turn out the soup is not bad BUT there was no chicken in it ! I have to say Kuriya is a mixed bag for me. 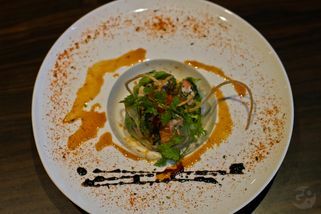 You can get a bland meal if you order the wrong thing and a good meal if you get lucky. Here's my suggestions! My dinner experience is always better than lunch. Service is much better and food has more taste...? I don't mind joining friends for a b-day party here once in a while.